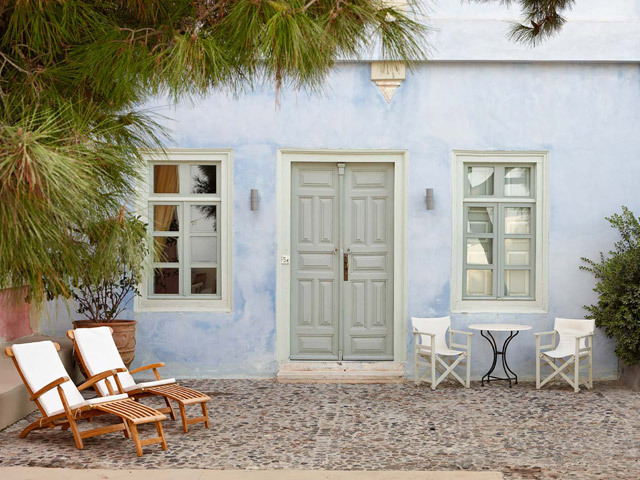 Aria-Lito is a Traditional Cycladic Mansion of mid 1900’s, totally renovated and converted to a modern luxurious hotel. 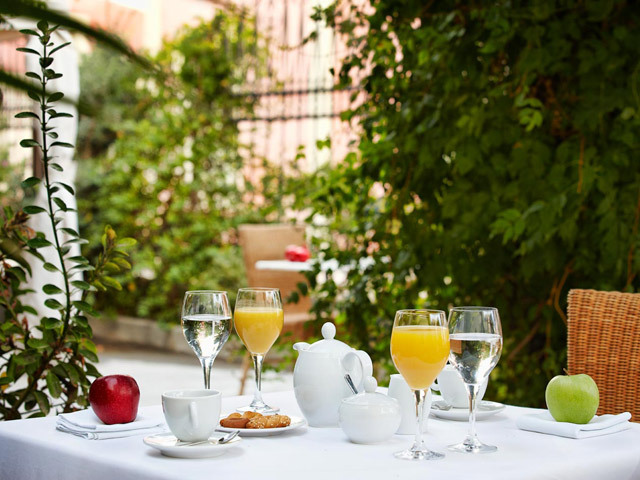 Aria-Lito has one swimming pool, a Light Fare Menu that operates throughout the day and a Wine Cellar with a selection of Santorinian, Greek and International wines. 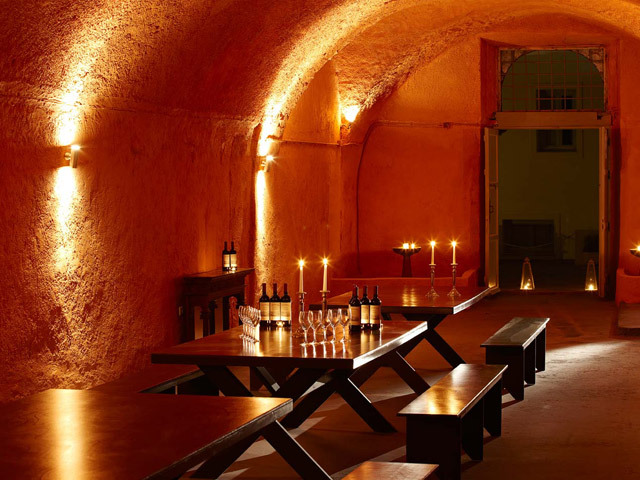 A wine tasting of Santorinian wines is presented every evening in the Wine Cellar of the hotel. Bedroom, veranda, bathrooms with bathtub. Bedroom, veranda with garden view, bathrooms with bathtub. 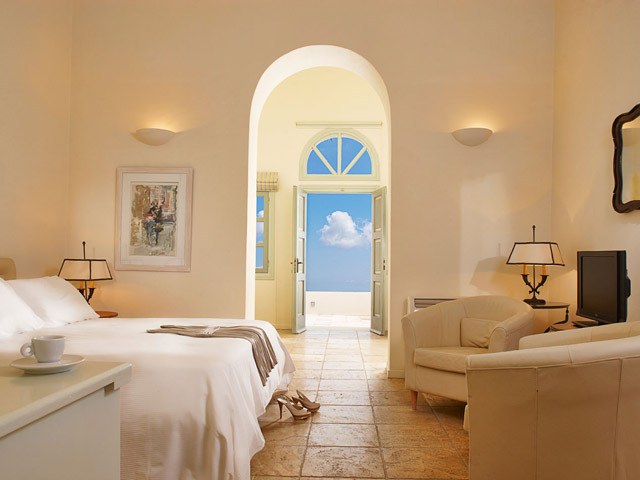 Bedroom, veranda with sea view, bathrooms with bathtub or Jacuzzi bathtub. Bedroom, living room, veranda with sea view,bathrooms with bathtub or Jacuzzi bathtub. Bedroom, spacious living room, veranda with sea view,bathroom with bathtub. Slippers and other comfort amenities. 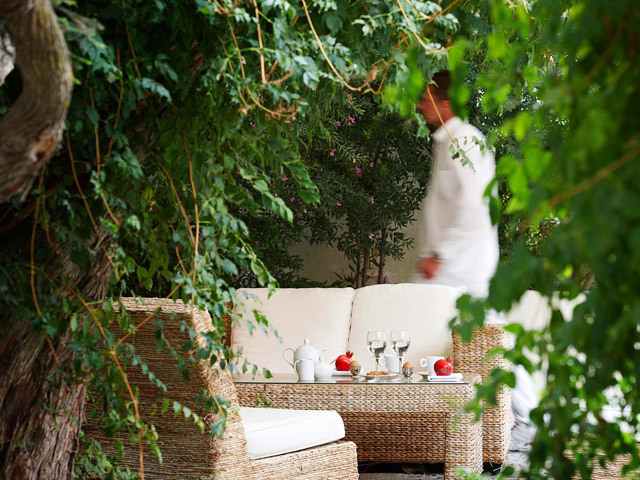 Aria – Lito is situated in the old quarter of capital city of Fira. Having a history of hosting distinguished guests, the mansion is stately in its architectural grandeur. The view is to the Eastern side of the island where off in the distance you can see the land sloping down to the Aegean Sea. 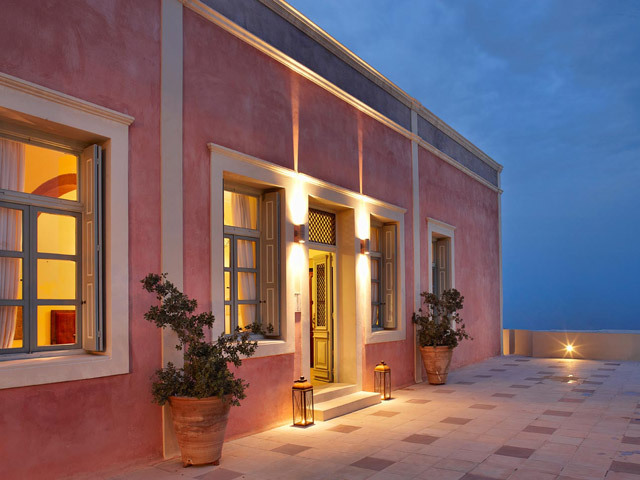 The location offers a sense of refined luxury with a peaceful atmosphere in the midst of the lively capital city of Fira. Easily accessible via air and boat transportation. 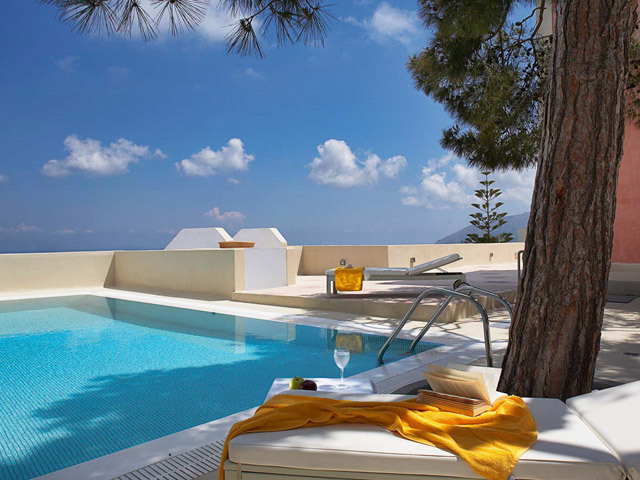 8 Km from Santorini airport and Athinios port. 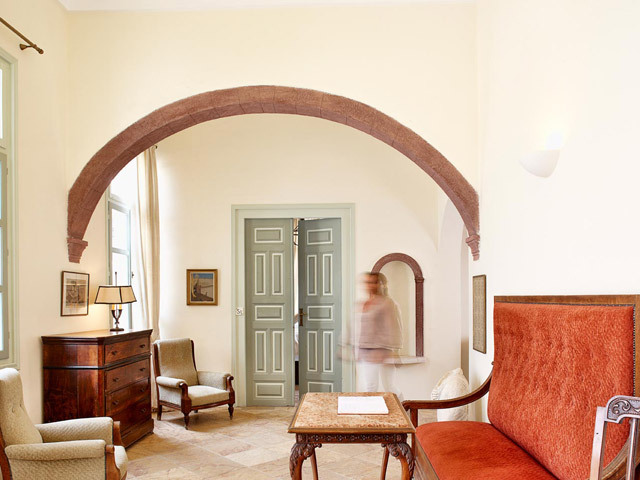 Open from April to October... Aria-Lito is a Traditional Cycladic Mansion of mid 1900’s, totally renovated and converted to a modern luxurious hotel.